Randal has established himself as an entrepreneur, speaker, author and scholar, and as a leading voice for his generation in business and technology. He is the founder, chairman and CEO of his fifth venture, BCT Partners, a multimillion-dollar management consulting and information technology solutions firm headquartered in Newark, NJ. 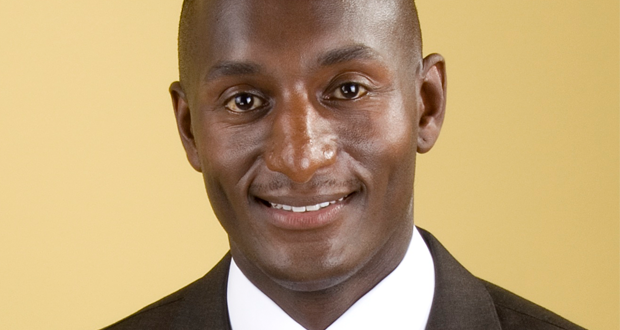 Dr. Randal Pinkett has established himself as an entrepreneur, speaker, author and scholar, and as a leading voice for his generation in business and technology. He is the founder, chairman and CEO of his fifth venture, BCT Partners, a multimillion-dollar management consulting, research and evaluation, information technology, and data analytics firm headquartered in Newark, NJ. Dr. Pinkett is the author of Campus CEO: The Student Entrepreneur’s Guide to Launching a Multimillion-Dollar Business and No-Money Down CEO: How to Start Your Dream Business with Little or No Cash and co-author of Black Faces in White Places: 10 Game-Changing Strategies to Achieve Success and Find Greatness, which was named one of “The Best Books of 2010.” He holds five degrees including: a B.S. in Electrical Engineering from Rutgers University; a M.S. in Computer Science from the University of Oxford in England; and a M.S. in Electrical Engineering, MBA, and Ph.D. from MIT. Most notably, he was the first and only African-American to receive the prestigious Rhodes Scholarship at Rutgers University; he was inducted to the Academic All-America Hall of Fame, as a former high jumper, long jumper, sprinter and captain of the men’s track and field team. Born in Philadelphia and raised in New Jersey, Dr. Pinkett is a proud member of Alpha Phi Alpha Fraternity, Incorporated and First Baptist Church in Somerset, NJ, where he resides with his family, including a daughter and two sons. Dr. Pinkett firmly believes that “for those to whom much is given, much is expected,” so throughout his endeavors, he places great emphasis on his desire to give back to the community. "Do it!! He is gracious and generous with his knowledge and time. In my 25 years of producing events, Dr Pinkett was one of the most relatable to a cohort of generations. He is funny, smart and a dynamic speaker. If you want a sold-out event – Book him!" "Dr. Randal Pinkett was very professional and delivered an impactful and customized message to our audience. We would definitely work with him again and recommend him to other groups!"